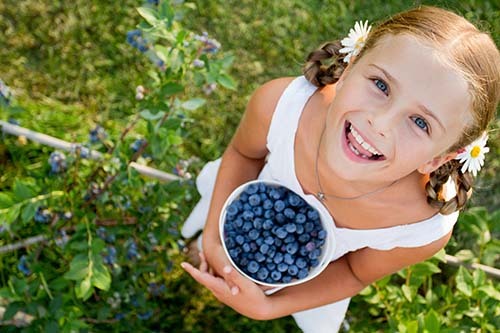 For many families, summer wouldn't be summer without a trip to the local u-pick farm to gather blueberries, peaches, or whatever fruit is grown in the local area. Fruit picking is a great time for family togetherness but it's also a learning opportunity for many kids, especially those who are used to getting their fruits and vegetables from supermarkets instead of at the source. If fruit-picking is a part of your summer traditions, head down this week with your family to your favorite u-pick farm, and bring your camera. If not, now is a great time to start a new tradition.